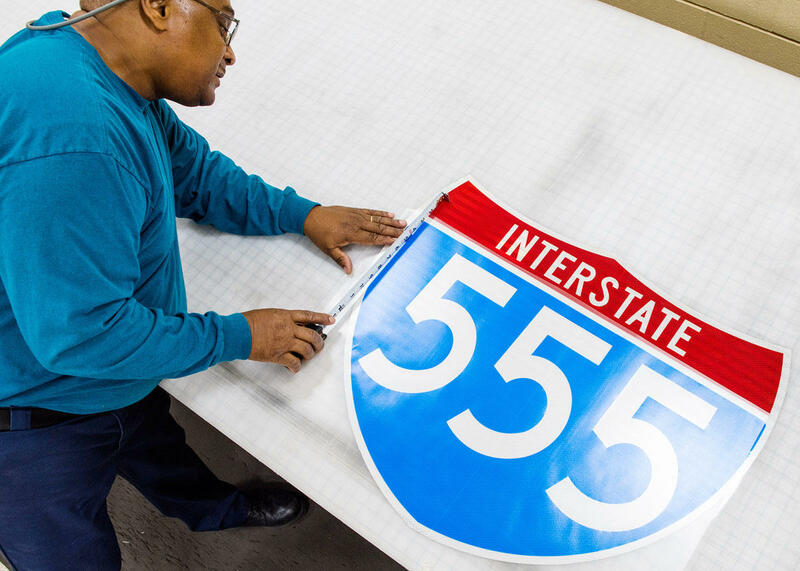 A worker makes the new I-555 shields. Friday will be a day that has been 40 years in the making. In the 1970’s, work started to turn Highway 63 into the Jonesboro bypass project. Highway 63 eventually became a four-lane road that would connect Jonesboro to I-55. After four decades and $250 million of work on the highway, the numbers will change. During a ceremony at St. Bernards Auditorium, US 63 will become the new Interstate 555. The new I-555 will consist of 44 miles from Highway 49 in Jonesboro to I-55 in Crittenden County. 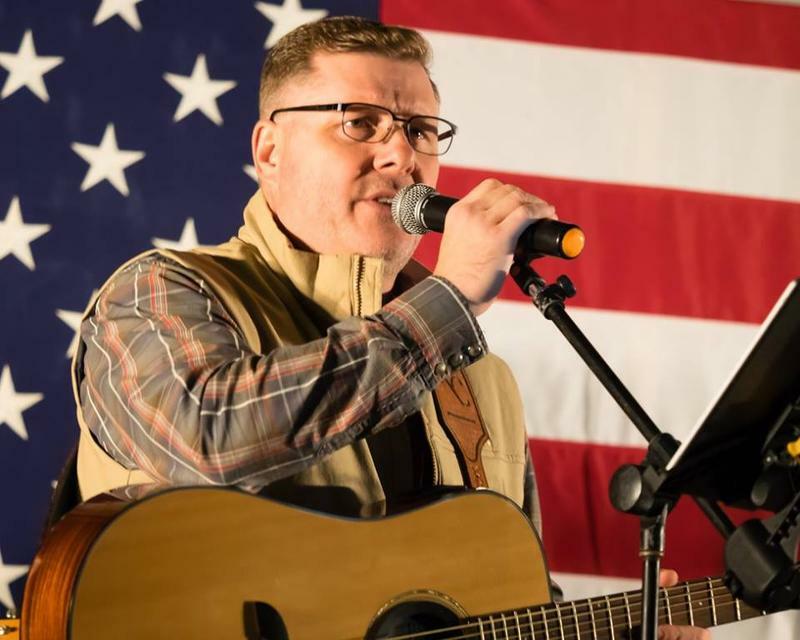 US Representative Rick Crawford tucked an agricultural exemption into legislation that will make Highway 63 the new I-555 without any bridges being built over the St. Francis Floodway. I talked to some officials from three main cities that are located on the interstate; Jonesboro, Trumann and Marked Tree. Marked Tree’s Mayor Mary Ann Arnold says she is happy for the agricultural designation. She says that when former Representative Marion Berry was in Washington, he came close to securing the projected $30 to $40 million to have bridges built over the St. Francis Floodway between Payneway and Marked Tree. That didn’t happen, but she says she is happy the agricultural exemption passed. Friday's dedication ceremony of the new I-555 takes place from eleven to one in Jonesboro and is expected to have some members of Arkansas’s Congressional Delegation on hand, as well as officials from the State Highway and Transportation Department, Arkansas Highway Commissioner Alec Farmer, and Governor Asa Hutchinson. Representative Rick Crawford says he is working on legislation that will make the future I-555 a reality. According to the Sun, the bill Crawford is crafting would exempt some vehicles from weight-limit restrictions that are imposed once a highway is designated as an interstate. The one thing that is preventing Highway 63 to being the new I-555 is a three mile stretch of the highway that spans across the St. Francis Floodway. Highway officials say an access road is needed for agricultural equipment to use, which could cost as much as 50 million to construct. In anticipation of the signing of the federal highway bill into law, the Arkansas Highway Commission has approved a Minute Order that starts the process of creating the new I-555. The Arkansas Highway and Transportation Department tells KASU news the process started 40 years ago, when Highway 63 was turned into the Jonesboro bypass project. 40 years and $250 million later, the highway is now up to interstate standards—except for a two lane frontage road across the St. Francis River Floodway that could be used by farm equipment. U.S. Representative Rick Crawford introduced an amendment that, if passed, could bring the future Interstate 555 closer to reality. If US Highway 63 was designated as an interstate, agricultural vehicles would not be allowed to use certain bridges on the highway. State Highway officials estimate that a new span to cross the St. Francis Floodway by Marked Tree would cost $30-50 million. Congress has passed a comprehensive highway bill. The five year piece of legislation is fully funded and is worth over $300 billion. Arkansas is expected to receive $2.5 billion in those five years, which is expected to help the Arkansas Highway and Transportation Department finish existing projects, and start looking at new projects. US Representative Rick Crawford says overall, Arkansas came out of the deal pretty good. The US House and Senate are in final negotiations concerning the federal highway bill. The bill must reach President Barack Obama’s desk by November 22nd, where he is expected to sign it. An exemption for agricultural vehicles to travel on U-S Highway 63 is in the bill. 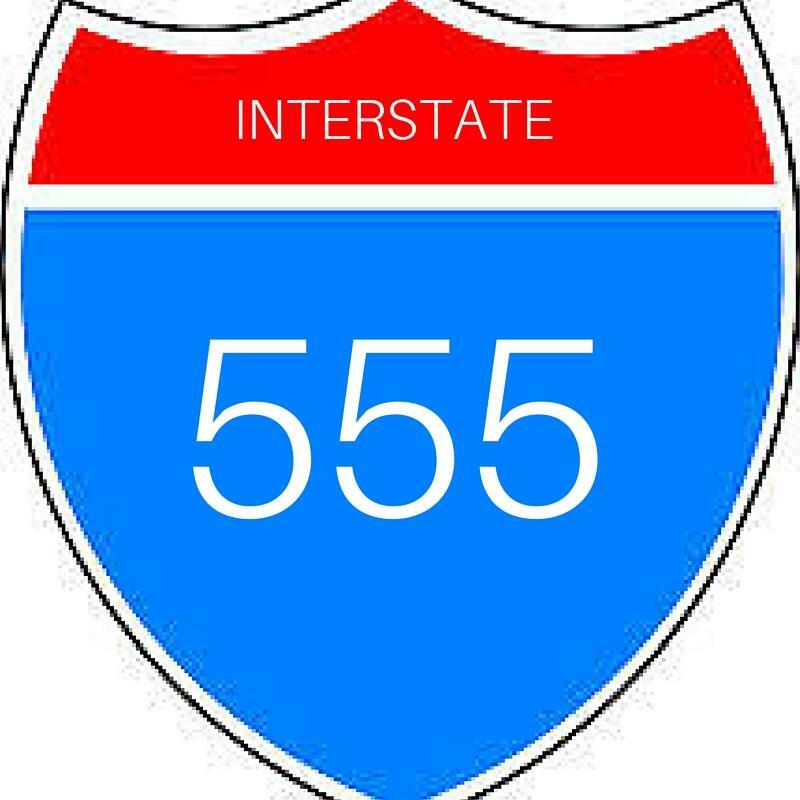 That exemption allows for Highway 63 to become the new Interstate-555. U-S Representative Rick Crawford was in Jonesboro last night. U.S. 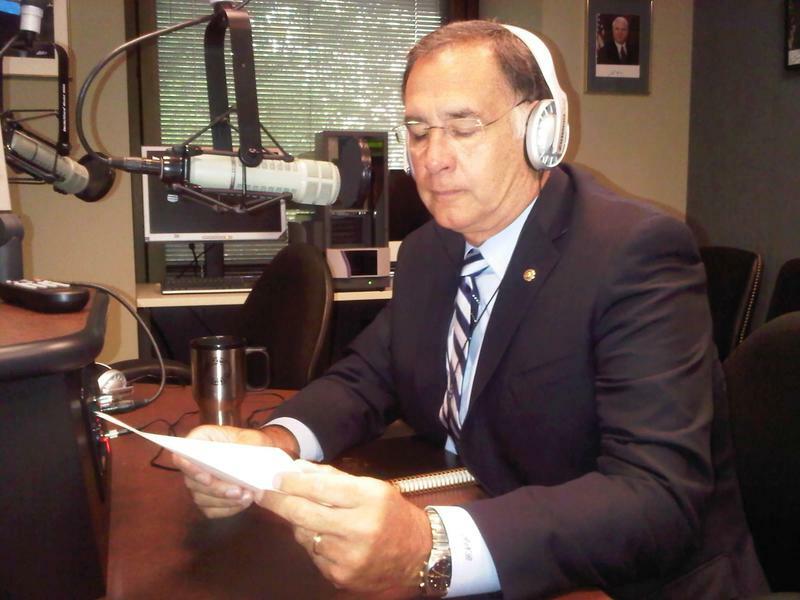 Senator John Boozman (R-AR) reacted to the recent comments about Muslims by Republican Presidential candidate Donald Trump, in his monthly interview with KASU. The Senator also talked about the challenges of battling ISIL, and about legislative issues the Senate is trying to work through before the holidays. Click on the Audio link to hear the entire interview.